I haven’t used Gustave Doré as much as, say, Caspar David Friedrich or John William Waterhouse, but when I use him, I really use him. 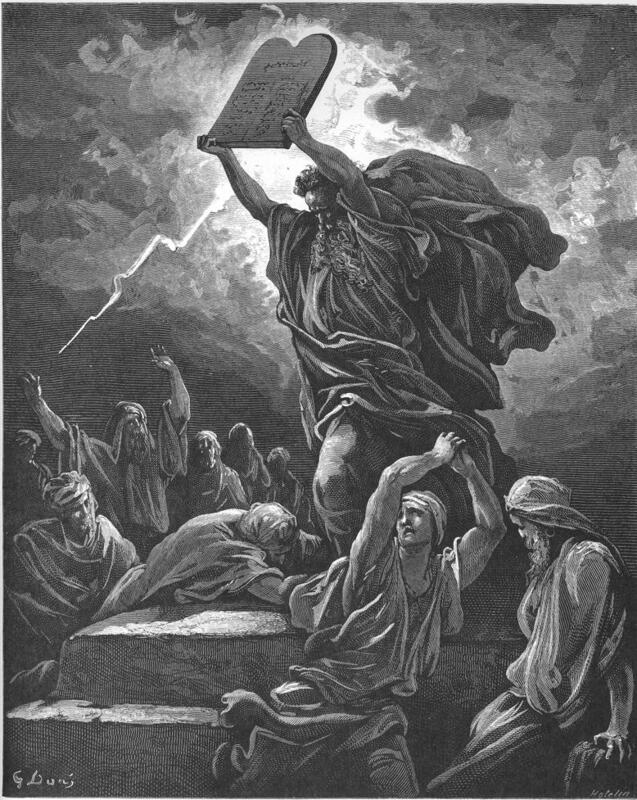 Moses Breaks the Tables of the Law appears twice in Divine Lore as well as in The Road, where the tablets of the law are one of the nine tablets of Enki. I also used Jacob wrestling with the Angel in the main rulebook. Part of the problem is that, as woodcuts go, his are not as evocative (to me, anyway) as William Miller’s. This may be simply because the reproductions available online aren’t as high quality as the reproductions of Miller that are available. Take a look at the best version of his work on The Raven, and there’s some really good stuff there—at fairly low resolutions. I’d love to use his Angels departing with Lenore into the sky, but the quality of the image just isn’t there. 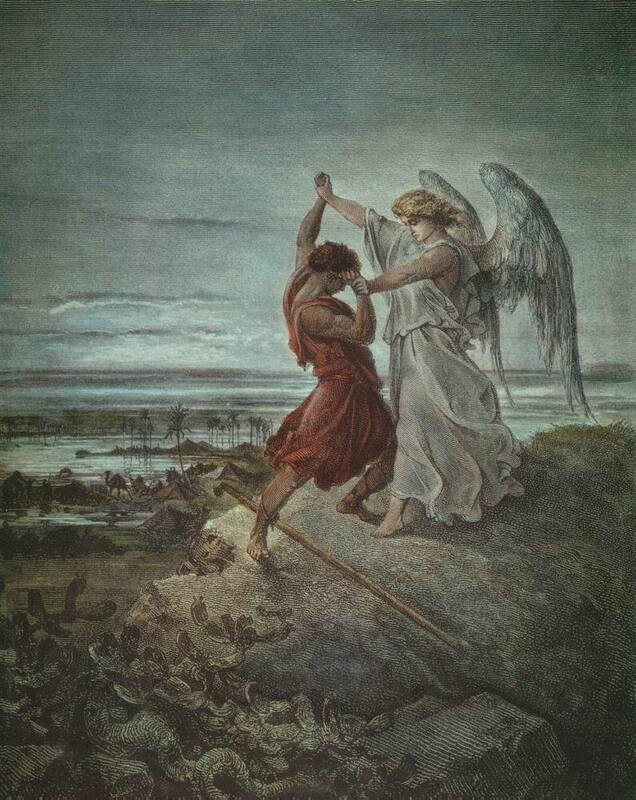 Browsing through his works for “most gaming/fantasy-like art”, Bohemund alone mounts the rampart of Antioch is something I might use eventually, and Adam and Eve expelled from Paradise has potential, with its sword-wielding angel at the edge of the wood pointing the way to an angry Adam and tearful Eve. Bohemund did not mount this rampart! But for sheer Monster Manual weirdness and teenage sexuality, I had to go with Les Oceanides Les Naides de la mer which, besides its subject matter, is in color. 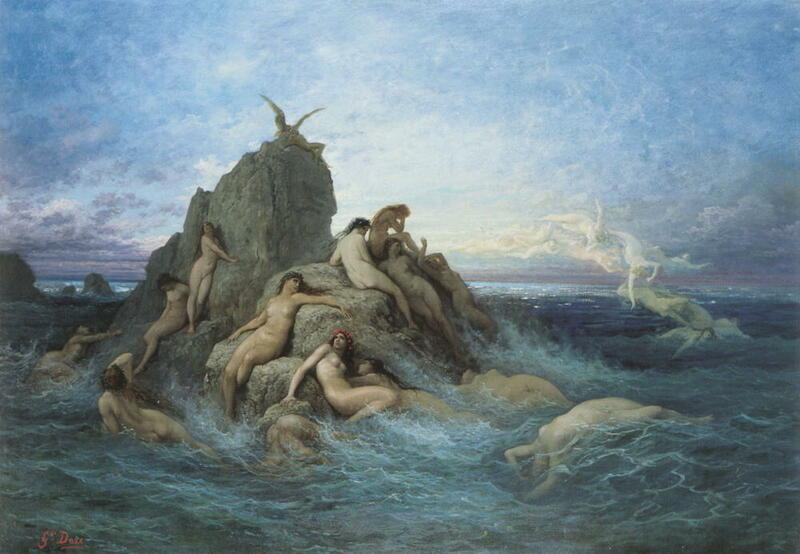 Imagine your player character meeting those nymphs in the middle of a long sea voyage! Many of the engravings of Paul Gustave Doré. The ebook, HTML, and Kindle text of The Raven, with images by Gustave Doré. Scottish engraver William Miller created engravings of other-worldly beauty from other people’s art. There have been many great painters of fantasy art. For me, Caspar David Friedrich really captures the sense of adventure and wonder that makes for great fantasy games. John William Waterhouse was one of the best of the Pre-Raphaelite movement, and his paintings of Tennyson and Shakespeare provide great inspiration for fantasy worlds. The Biblical and other engravings of Gustave Doré last modified February 20th, 2016.